Now that is how to do an event! 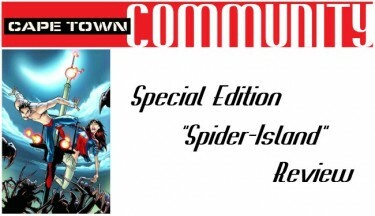 Don and Jerry are here to review the recently concluded “Spider-Island” event that lasted a mite three months and spanned just under 30 books! So sit back and listen as we discuss Dan Slott, Humberto Ramos and Stefano Caselli’s Amazing Spider-Man issues as well as all of the crossovers and minis (including Spider-Island: Cloak and Dagger, Black Panther, Herc, Venom and more!). As always, we remind you that this episode is as spoil-heavy as our review show, so you may want to give it a listen after you’ve read your books.